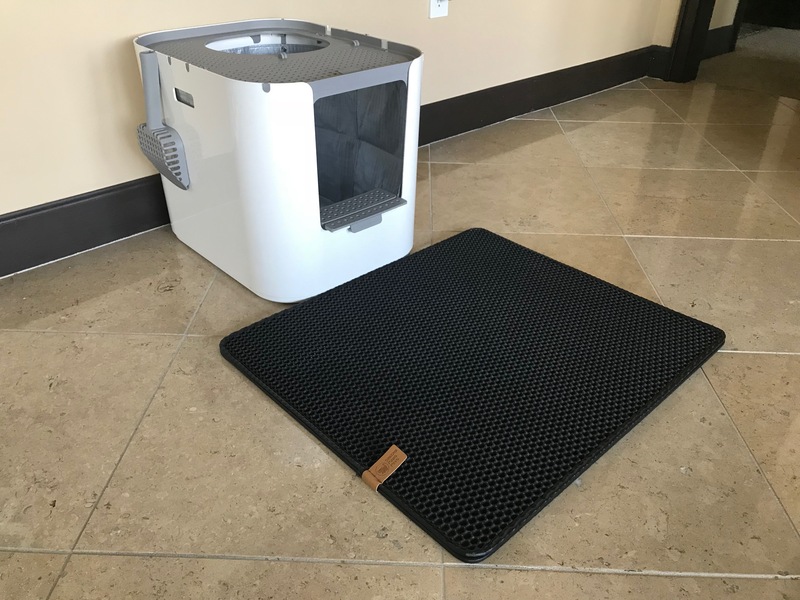 The Smiling Paws Pets Litter Trapper Mat is a revolutionary double-layer honeycomb designed cat litter mat that does an excellent job at trapping litter. The design makes it incredibly easy to clean and it allows you to re-use the litter that escapes from the box. The Smiling Paws Pets Litter Trapper Mat is made of EVA rubber. The top layer has convex honeycomb openings that allow litter to pass through to the bottom layer. The bottom layer is smooth and laminated to prevent liquids from seeping through to the floor. The two layers are joined together along one of the shorter sides. The primary function of a litter mat is to collect litter and prevent your cats from tracking it all over the house. The Smiling Paws Pets Litter Trapper does exactly that. It traps litter better than any litter mat we’ve come across. 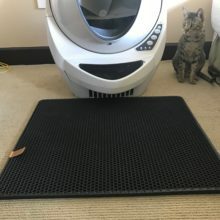 And rather than having to vacuum and dispose of the litter that gets trapped in the mat, the Smiling Paws Pets Litter Trapper makes it easy to salvage and reuse the trapped litter. 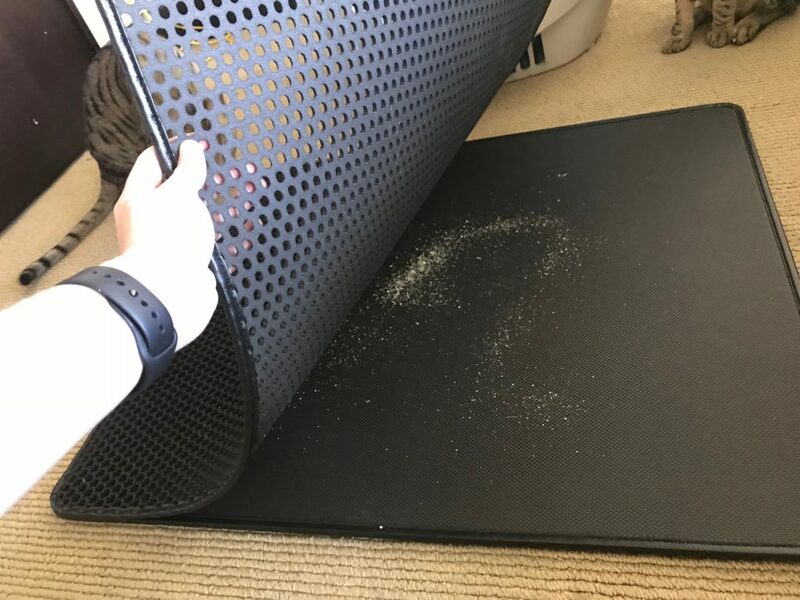 You can easily pick up this light-weight mat, roll back the top layer, and dump all the trapped litter back into the litter box. It is amazing how much litter you can actually save by doing this! 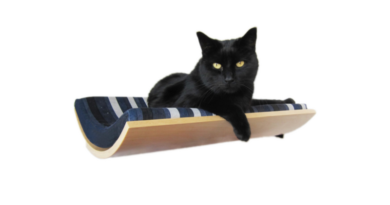 When it comes to cat-friendly litter mat design, the ideal mat should be soft and comfortable to walk on. Some cats have more sensitive paws than others. The Smiling Paws Pets Litter Trapper Mat is soft but lumpy. It feels somewhat awkward to step on. 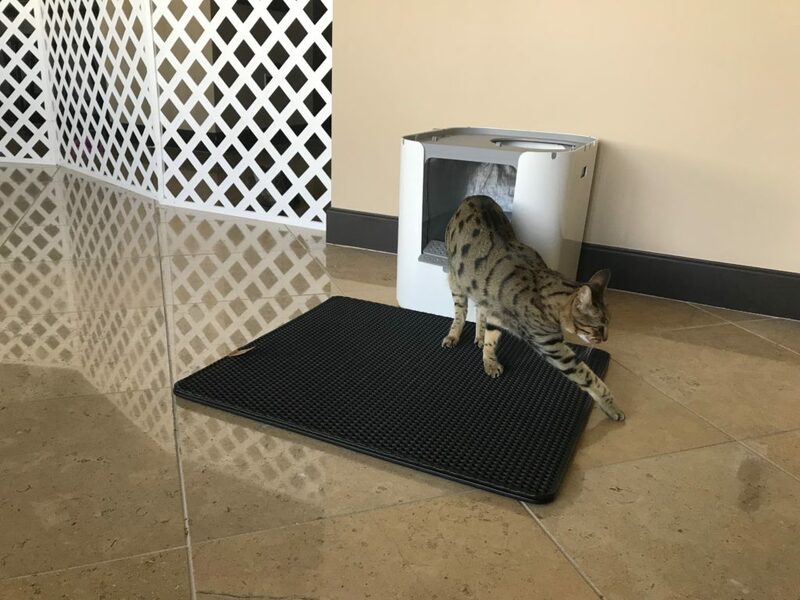 Our Savannah Cats are accustomed to the wiry mesh litter mats and didn’t know what to think about the Smiling Paws Pets Litter Trapper at first. I could tell they were somewhat hesitant to walk on it. But after a week or so, they seem to have adjusted fine and now they have no issues walking on this mat. Litter mats are supposed to make our lives easier as cat owners. Unfortunately, not all of them accomplish this goal. Aside from trapping cat litter, litter mats should also be easy to clean. We’ve found that while the popular woven mat design is good at trapping litter, it is also good at trapping waste. Those litter mats can be an absolute nightmare to clean if your cat happens to track poo or miss the box and pee on them. That’s one of the reasons we were really excited to see the uniquely designed Litter Trapper Mat in action. The Smiling Paws Pets Litter Trapper really shines when it comes to owner-friendly design. This litter mat is very easy to clean even if your cat tracks poo or pees on it. You can throw the entire thing in the bathtub and spray it down until it is clean. And the non-absorbent material is odor-resistant. There are some similarly designed dual-layer litter trapper mats that are enclosed on three sides instead of just one. The mats that are enclosed on three sides form an envelope and make it easier to dump the trapped litter back inside the box. But they also make it a bit more difficult to thoroughly clean and wash down. At 28″ x 24″ in size, the Smiling Paws Pets Litter Trapper is an average sized mat. 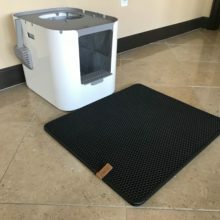 We tend to prefer litter mats that are extra large or jumbo sized because they do an even better job of collecting litter that our cats fling from the litter box. The thickness of this dual-layer litter mat makes it ideal for placement in front of a side-entry litter box. It also works well with litter boxes with legs. 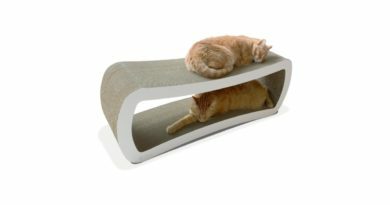 It is too small to fit entirely underneath most litter boxes and still provide adequate coverage outside of the litter box. We tried out this litter mat with three of our litter boxes. It worked well in front of the Modkat XL litter box and partially underneath the Modkat Flip Litter Box. It didn’t work well with the Litter Robot because it prevented us from being able to open the front drawer. And the Litter Robot needs to sit flat, so the thickness of this mat prevented us from being able to partially slide it underneath the Litter Robot. 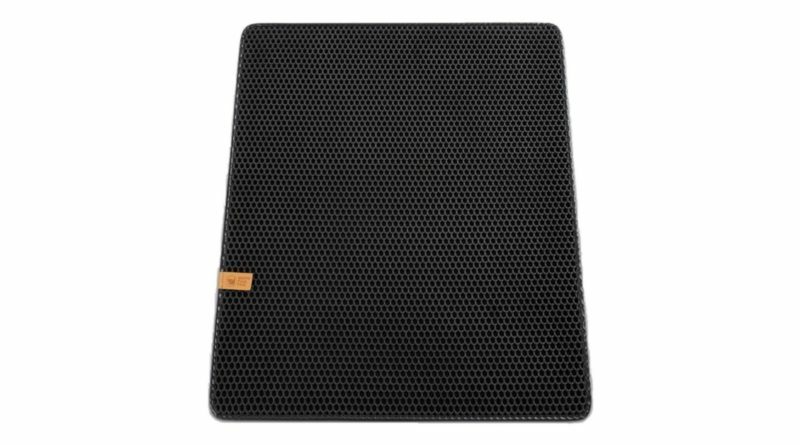 The Smiling Paws Pets Litter Trapper Mat is a stylish looking litter mat that is made of quality materials. You can really tell a lot of thought went into the design of this product. The Smiling Paws Pets Litter Trapper Mat is a thoughtfully designed litter mat that works wonders in most situations. 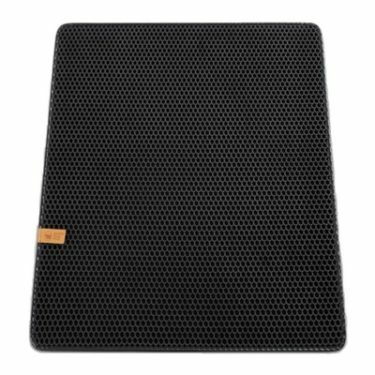 This dual-layer mat does an exceptional job at trapping litter and it is easier to clean than most of the competition. 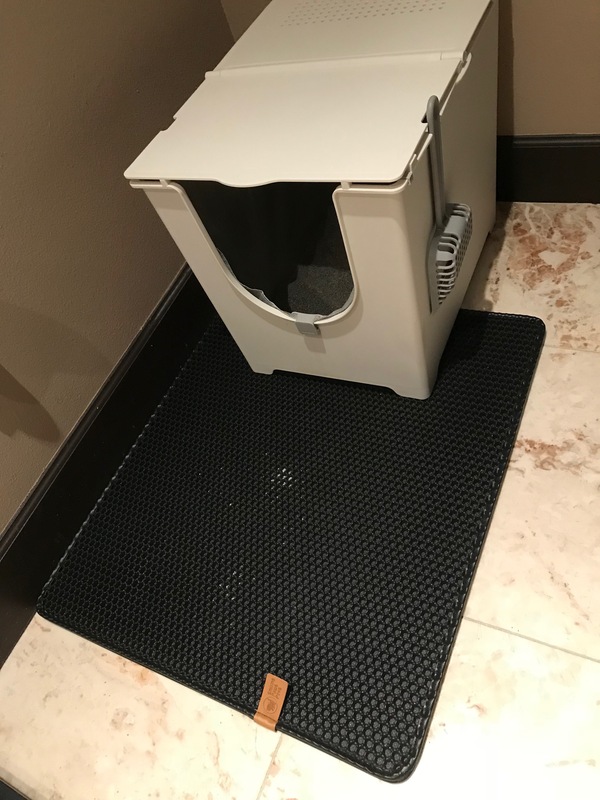 We recommend the Smiling Paws Pets Litter Trapper for use with side-entry type litter boxes or litter boxes where litter scatter is limited to one side of the box. 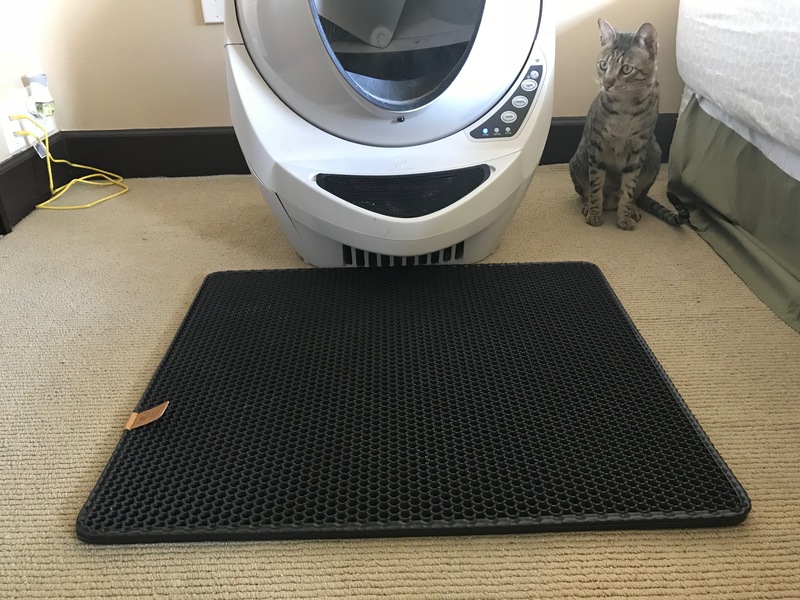 This litter mat might be too small for use with completely open litter boxes or top-entry litter boxes. 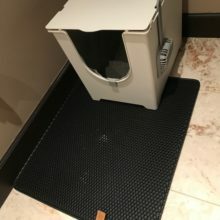 We highly recommend the Smiling Paws Pets Litter Trapper Mat if your cat has the tendency to pee outside of the box. Take our word for it, this litter mat is much easier to clean and sanitize than standard woven mesh litter mats. FTC Disclosure: We received this litter mat from Smiling Paws Pets at no charge. Receiving this product for free did not influence our review. 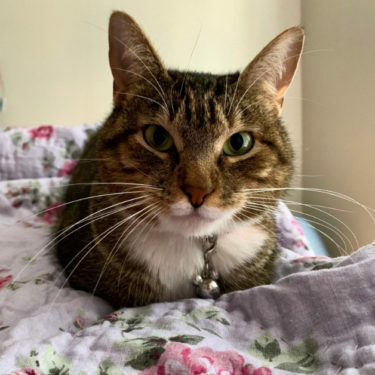 All reviews on Kitty Loaf reflect our honest and unbiased opinions.